Have you ever wanted a way to earn cash and gift cards online for giving your opinion and completing other simple tasks? Now you can with InstaGC. InstaGC stands for Instant Gift Cards and is one of the best sites for making a few bucks online every month. You may be wondering if InstaGC is a scam, well I am here to tell you that it’s not and will tell you exactly why in this InstaGC Review. InstaGC is very similar to other sites that I use like Swagbucks or FusionCash. 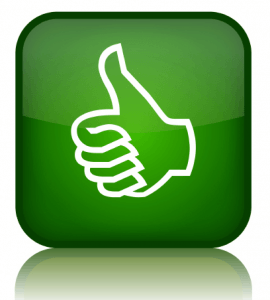 InstaGC pays you for completing tasks, taking surveys, completing offers, and much more. With the cash you earn you will get rewarded Gift Cards or Cash. Please understand that InstaGC and other reward sites will never earn you much money. 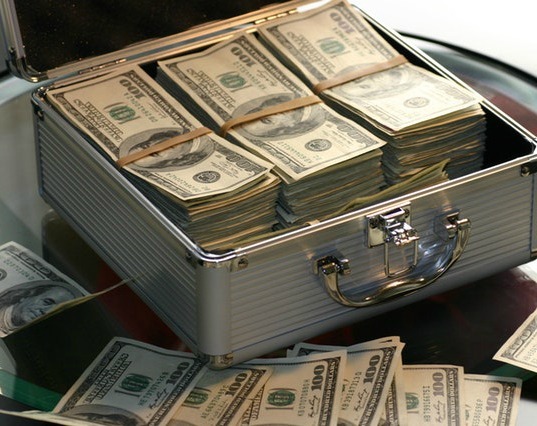 The ways to earn just don’t pay enough to make a large income. If you’re serious about making a full-time income online, check out My #1 Recommendation, it’s how I made over $13,000 online last month! In this is InstaGC a scam review I will cover exactly what it is, how you can make money with InstaGC, and what I like and dislike about the company. 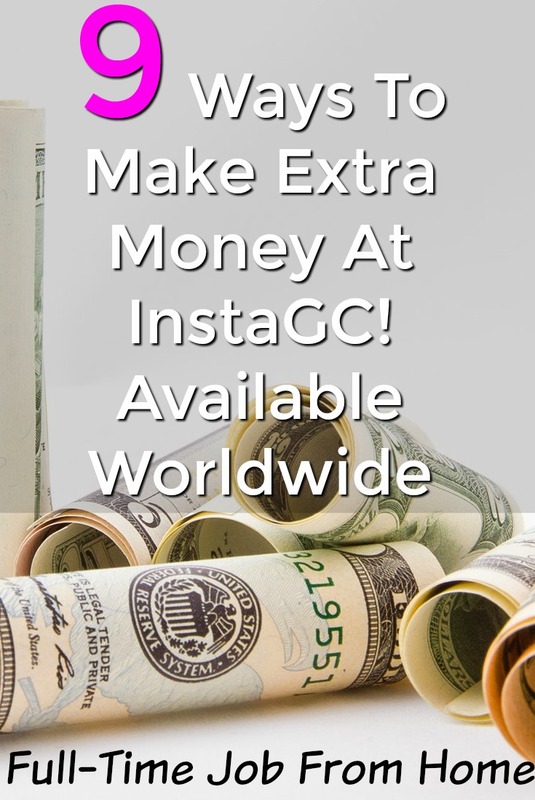 InstaGC is a get paid to site that offers a variety of different ways to earn money. From Surveys to watching videos, InstaGC has plenty of things to keep you busy and earning all day long. It’s very similar to other sites that I have reviewed in the past such as Swagbucks or FusionCash. There is a variety of different ways to earn with InstaGC you can find them below. If you want to increase your earnings with InstaGC, you’re going to want to take advantage of the referral program. The program terms can be found below. InstaGC gives you a few tools to promote their site. First, they give you your own referral link which can be posted on your website or social media. They also have a built-in email invite system. They also provide you with some promotional banners you can see a few examples of these on this page! One of the best things about InstaGC is the payment system. You have two options with payments. You can choose a gift card they have available, or you can request a check. The minimum cash out for both options is $1. UPDATE: They now offer payments by PayPal and Direct Deposit starting at $5. I was recently paid my first gift card within minutes of joining instaGC. The gift card was emailed to me within 5 minutes of requesting it. You can see proof below. I gave InstaGC a 93 out of 100 because I found that it’s one of the best “Get Paid For” sites out there. I have used the system and got credit for every offer and task I completed. I have also been paid by InstaGC so all the way through the process I have found no problems. There were a few thing I didn’t like about InstaGC which can be found below, but overall InstaGC is a good site and is completely LEGIT! 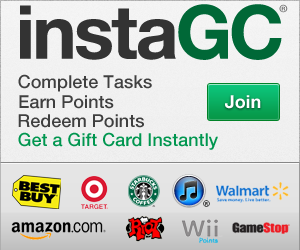 I like the fact that InstaGC offers to pay you with gift cards along with check. I don’t like companies that only offer the gift card option because not everyone wants gift cards. Another great thing about InstaGC payments is gift cards are delivered instantly to your email. You do not have to wait a few days for them. So it would be really easy for you to sign up now and within an hour have a gift card emailed to you! InstaGC offers quite a few different ways to get paid. I like companies like this because if you wanted to, you could spend all day on InstaGC earning and never run out of things to do! InstaGC works very well on mobile devices meaning phones and tablets. The site also offers a few other new ways to earn when accessing from a mobile device like getting paid to download apps. If you’re familiar with paid to do and survey sites, you know that if you want to earn big bucks, you will need to have some referrals. The referral program at InstaGC is not bad. The best thing about the program is you get paid $.10 every time someone signs up and confirms their email. This is huge because you will find a good deal of people who join and never earn any money, but you still get paid for them signing up. Although Payments from InstaGC was something that I really liked, I also found it a concern by not offering PayPal. I always prefer to be paid by PayPal because it’s usually much quicker then receiving checks. But I am happy they offer at least one cash payment instead of all gift cards. Now, this is more a mindset you need then a concern, but you have to know that InstaGC is not a company that is going to make you super rich. InstaGC will pay you for everything you do and pay you on time, but don’t expect the checks to be $1000 especially right off the bat. I can make a good amount of money each month from sites like this because I am active within them and have a good number of referrals, but that has taken time to build up. If you go into InstaGC with the right mindset, I am sure you will be happy with the site and will start building up your earnings each month. I highly recommend InstaGC. I found that it’s one of the best get paid to sites on the internet. Since they have a great reputation of crediting your account when you complete tasks and always making payments instantly, I believe there is no better site out there. You can join InstaGC and get a $.10 sign up bonus here. If you’re interested in InstaGC, you will also like companies like Paid Viewpoint, Swagbucks, and FusionCash! Again, please understand that InstaGC and other reward sites are going to be a tiny income. If you’re serious about making real money online, check out My #1 Recommendation, it’s how I made over $13,000 online last month! Thank you for reading my InstaGC Review. You have seen that InstaGC is not a scam and good company to join to earn a few extra bucks each month. If you have had experiences with this company, I’d love to hear about it in the comments section below!